How do you think Mississippi's trails will help people understand the state's history? According to the article, Mississippi has markers along trails honoring the blues, country music, civil rights, Indian mounds and writers. If your state were to create trails like this, what topics do you think they should cover? If you're from Mississippi, what other trails do you think the state should create? If you were a member of Mississippi's state tourism department, what kind of program would you create to encourage people to follow the markers on the state's heritage trails? Do you think understanding the history of a place can help people living there build a better future? Why or why not? Invite students to share what they know about state markers, such as the Mississippi markers they read about in the article. You may wish to review the Mississippi Historical Markers site to give students a better understanding of what a marker is, what it looks like and the type and amount of information it contains. 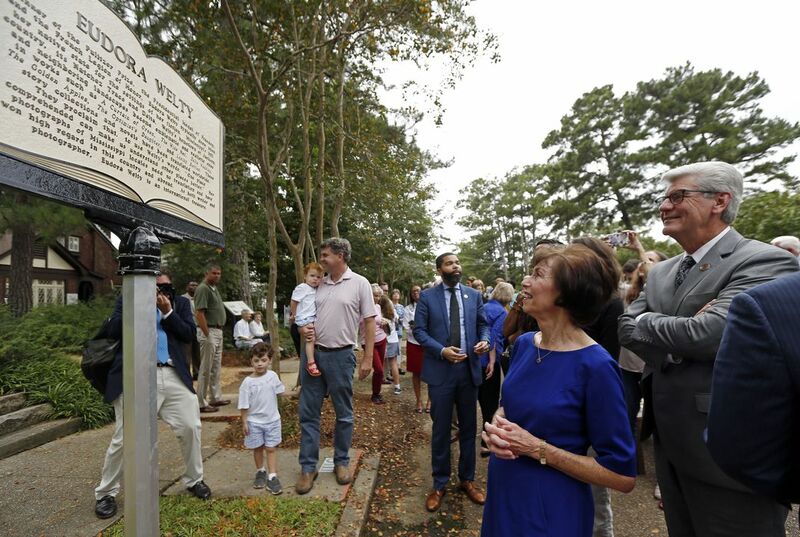 Remind students that Mississippi's newest trail will honor authors with a connection to the state. Have students identify the author of their favorite book. Give them time to conduct research to learn about that person's life and work. Challenge students to select a key point about the author and summarize that information so that it will fit on a roadside marker. Provide art supplies. Encourage students to draw a picture of a roadside marker honoring their favorite author. As an extra challenge, instruct students to identify where they think the marker should be placed. Invite students to share their drawings with the class. After all presentations are finished, encourage students to share the most interesting things they learned about each author. Create small groups out of students who are investigating the same author. Provide assistance as they conduct research. Instruct each student to create his or her own marker. Have students conduct research with a partner who is investigating the same author. Instruct each partner to create his or her own marker. Challenge them to include a picture that directly relates to the text they wrote. Instruct students conduct research with a partner who is investigating the same author. Instruct them to learn about the author's personal life and work. Then have one partner create a marker honoring the author's birthplace and the other partner create a marker that directly relates to the author's work on their favorite book. Instruct students to identify the author of their favorite book. Have them conduct research to learn about the author's personal life and work. Challenge students to create two markers: one honoring the author's birthplace and a second directly related to the author's work on their favorite book. These lessons from the Smithsonian Center for Learning and Digital Access introduce students to the lives and works of Louisa May Alcott and Samuel Clemens through portraits as well as through their writings. Students come away with a better understanding of how the events of one’s life can be an inspiration for creative writing. In this lesson plan from the Cooper-Hewitt, Smithsonian Design Museum, high school students will read a Japanese folktale, "Momotaro: Boy of the Peach," learn about Japanese culture and story structure and create a children’s book version of the Momotaro story to share with younger readers. What’s Changed, and What Hasn’t, in the Town That Inspired "To Kill a Mockingbird"
Read this Smithsonian Magazine article to travel back in time and visit Harper Lee’s hometown, the setting of her 1960 masterpiece and see how the the town has changed and what has stayed the same. This online exhibit from the Smithsonian Institution Libraries explores book and manuscript artwork that inspires, informs or influences. The exhibit includes sections on the process of illustration, detailed images and examples organized by theme. Why Milo’s Sunrises Are a Symphony of Color in "The Phantom Tollbooth"
Read this Smithsonian Magazine article to learn about "Phantom Tollbooth" author Norton Juster's perspective on writing his young adult novel including what he says is the one boon to his magical writing, that he was born with synesthesia and hears colors. This Smithsonian Libraries exhibit explores the link between scientific and artistic creativity through the book format. The exhibit showcases artists’ books that were inspired by landmark works of science and provides insights into the creative side of scientific research. The Remarkable Influence of "A Wrinkle in Time"
Read this Smithsonian Magazine article to learn how Madeleine L’Engle's novel liberated young adult literature. Judy Blume speaks about her career and what it means to write a "Banned Book"